This Wednesday could easily be dubbed “Anti-Woman Day” at the Arizona Legislature. Several anti-choice bills will be voted on in two committees that day, and if the votes go anything like last Wednesday’s House Health Committee vote, women don’t stand a chance. We need YOUR help this week. Please TAKE ACTION on BOTH items to stand up for women in Arizona. First, THANK YOU for taking action last week by emailing the House Health Committee about the two bills that were up for vote. HB2443 (Gender and Race Selection) did not receive a hearing that day, but stay tuned for movement on that bill again soon. Unfortunately, with HB2416, ideology once again trumped science at the Legislature! In testimony, Planned Parenthood Medical Director, Dr. Taylor, took questions from the panel of legislators. One legislator, Peggy Judd, could not understand why handing a woman a pill was different from a surgical procedure, ignoring the medical common sense evidence that Dr. Taylor presented during the hearing to decide whether abortion-by-pill should be subject to the same clinic regulations as a surgical abortion. The committee ultimately decided….it should be. The hearing was fraught with misinformation, and debate was shut down before pro-choice legislators even had a chance to ask their questions. The extreme right-wing lobbying group, Center for Arizona Policy (CAP), has been handed the reins at the Arizona Legislature. When the sponsor of HB2416 was asked a question about the practical effects of the bill by Dr. Taylor, the sponsor, as well as other members of the committee, was unable to answer. The committee chair had to ask the CAP representative to come to the podium to explain what was in the bill and what the impact would be. It is very troubling when special interest groups become so influential that the legislation they author and promote is not even read by the legislators voting on it. And this is why we NEED YOU. Please TAKE ACTION on these TWO ITEMS today! 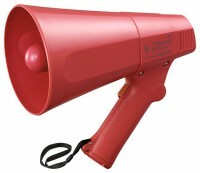 megaphone lady Click on the links below to take action and learn more. SB1246: Abortion Redefinition, and SB1265 – Banning Public Funding for Women’s Healthcare – Senate Healthcare and Medical Liability Committee on Wednesday, February 9. HB2384 Banning Public Funding for Women’s Healthcare– House Health and Human Services Committee on Wednesday, February 9. P.S. Also being voted on this Wednesday are two resolution bills, HCR2034 and SCR1017, which have the singular purpose of singing the praises of deceptive Crisis Pregnancy Centers. In a time of economic and budget crisis in our state, THIS IS WHAT OUR LEGISLATURE CHOOSES TO SPEND THEIR TIME ON. Thank you for your support of the women and families of Arizona. Be sure to follow us on Twitter for updates, and action alerts. This entry was posted in Legislative Watch and tagged abortion, abortion pil, action alert, anti-choice, Arizona, Center for Arizona Policy, crisis pregnancy centers, Dr. Taylor, HB2384, HB2416, legislature, Planned Parenthood, SB1246, surgery by Planned Parenthood Advocates of Arizona. Bookmark the permalink.